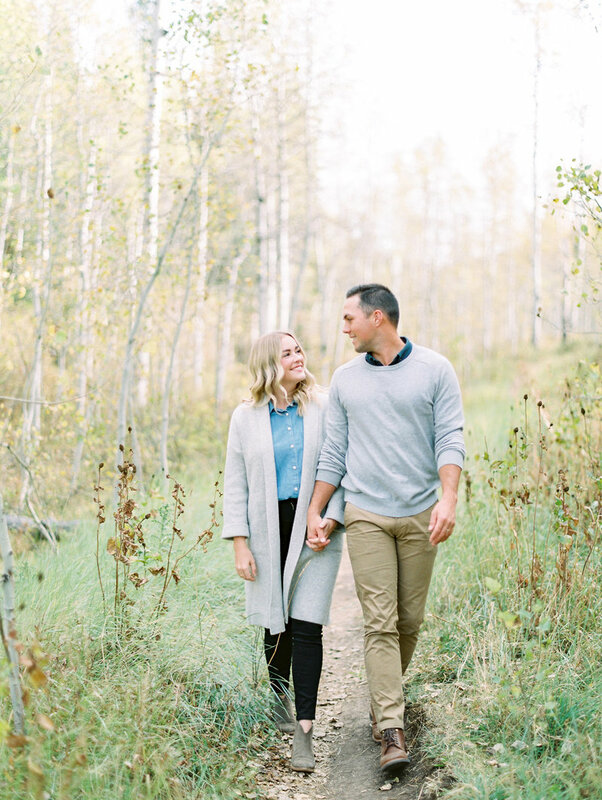 Often times clients will come to me saying they want fall engagement photos but don't want to be surrounded in the typical red leafed trees. 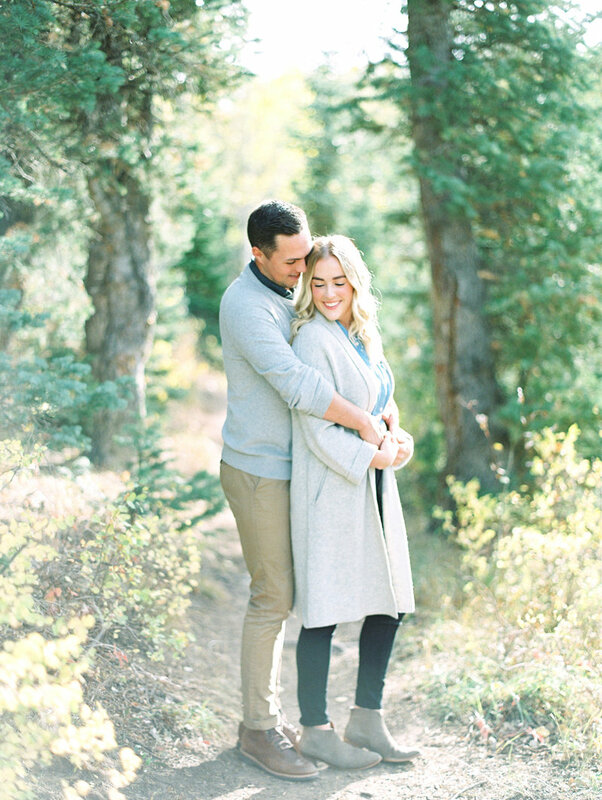 I call this vision a tasteful fall engagement. 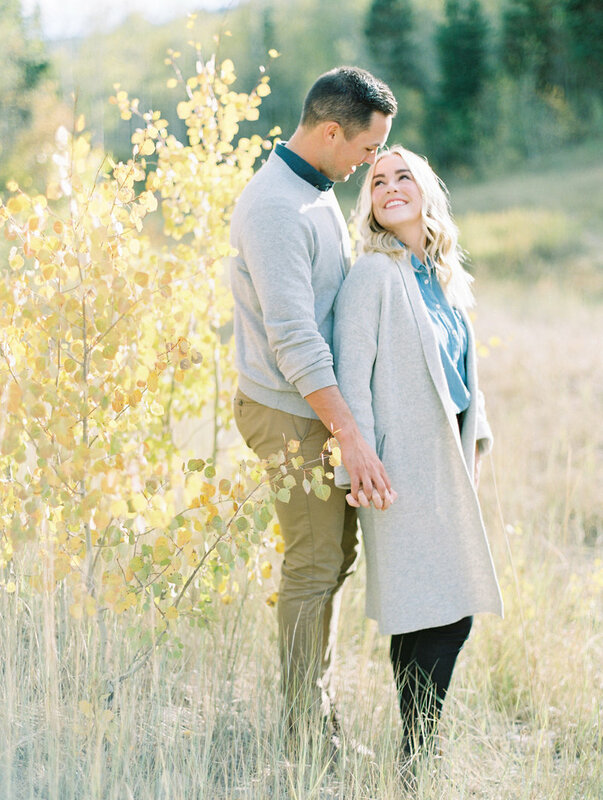 It is isn't overbearing or overly fall feeling, it is a happy medium. 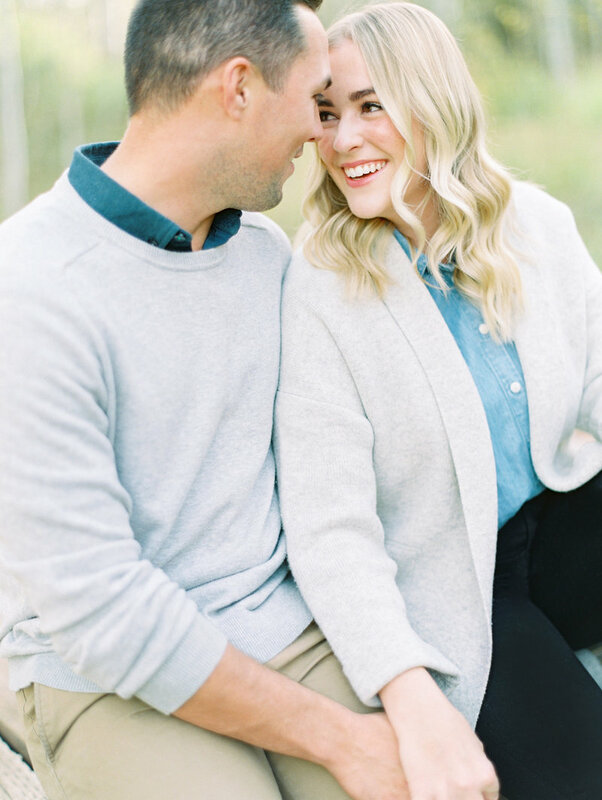 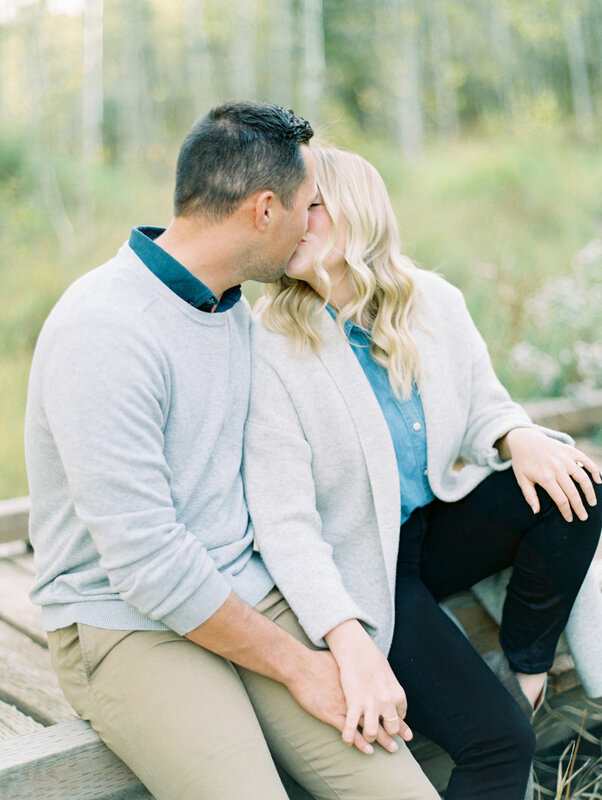 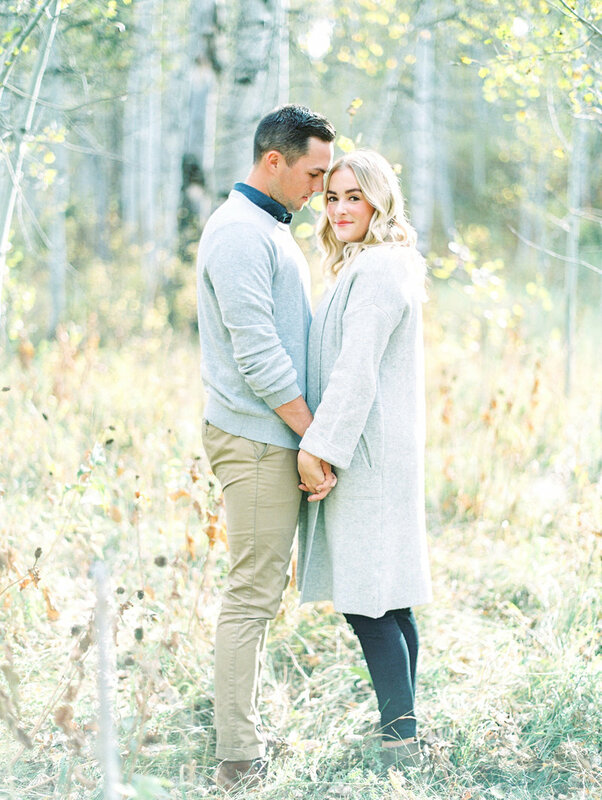 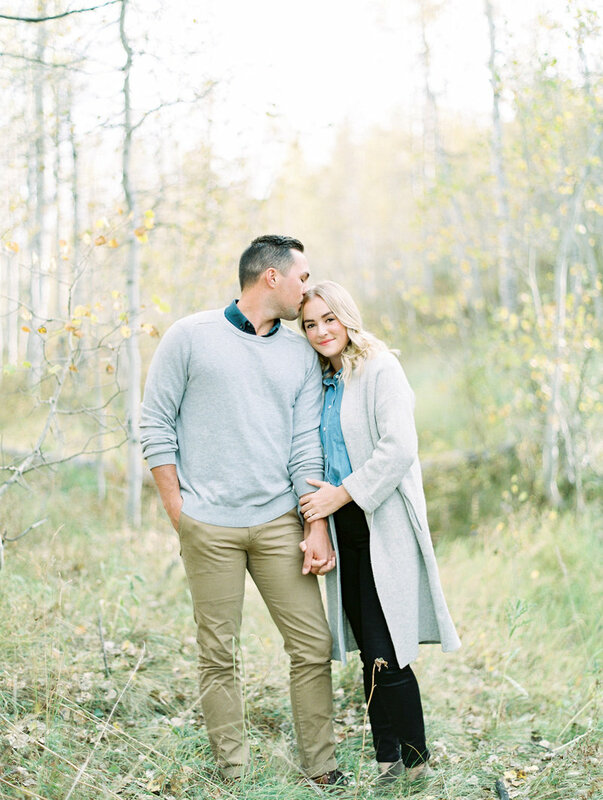 Lindsey & Steve's fall engagements are just this. 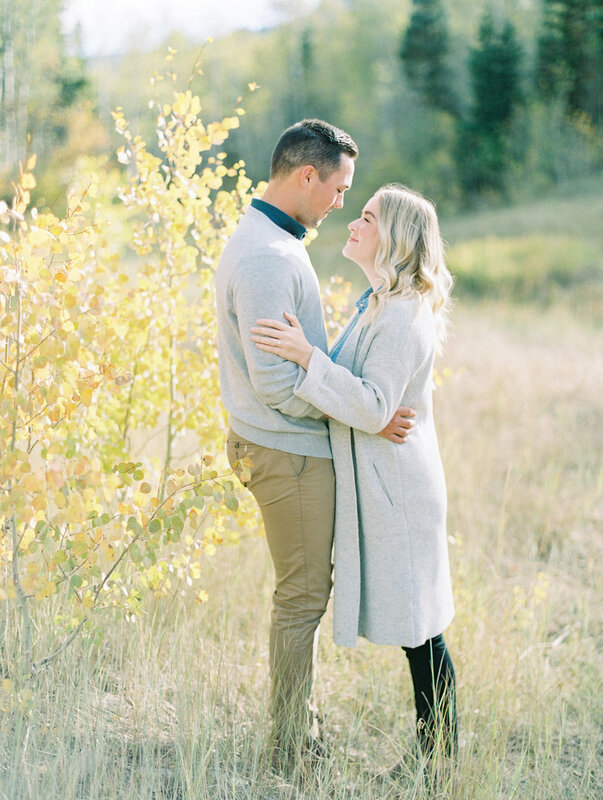 With the golden aspens and still green wispy grass, we get a minimal, modern fall feel without being too over the top. 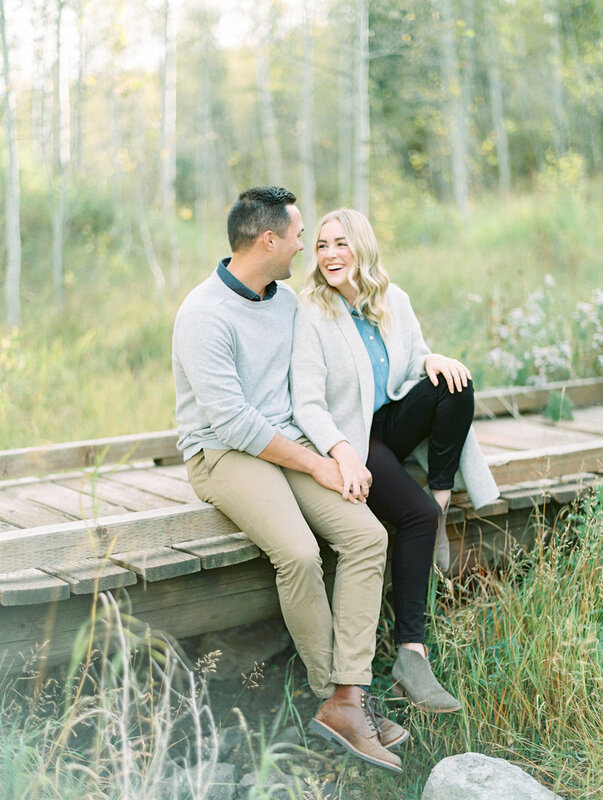 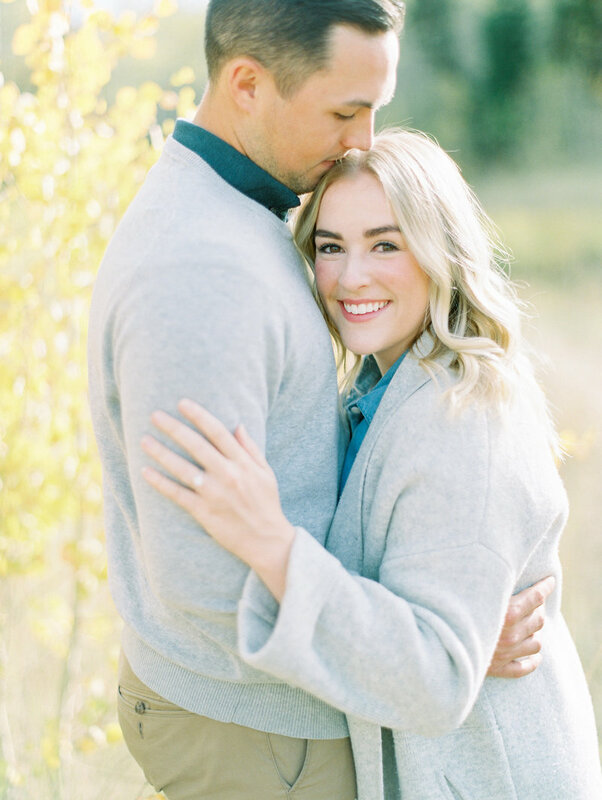 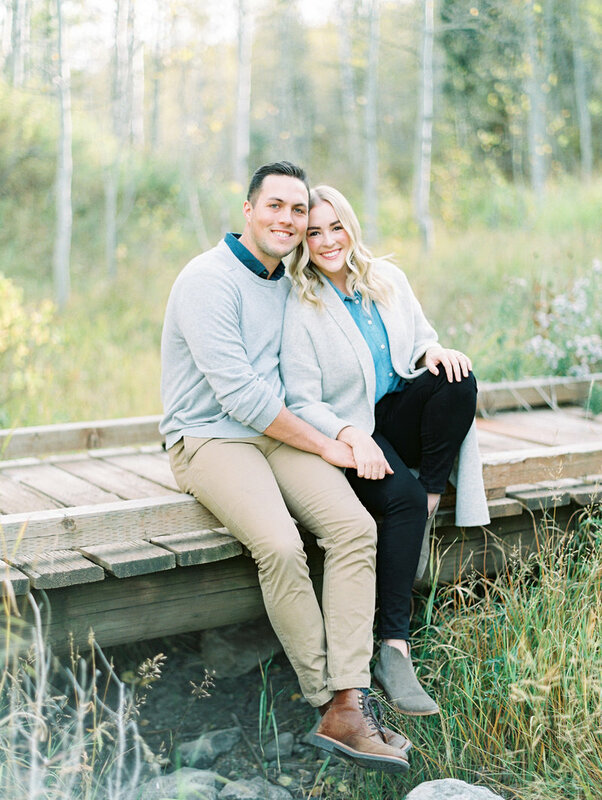 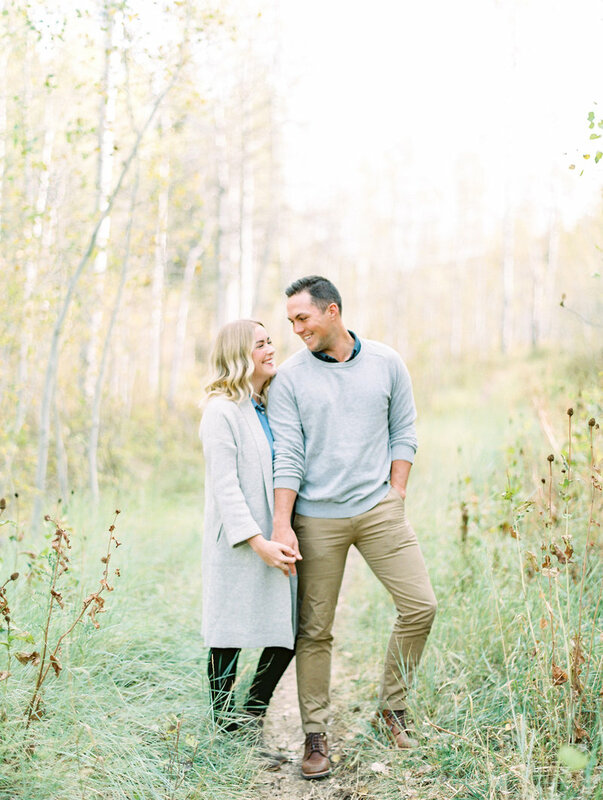 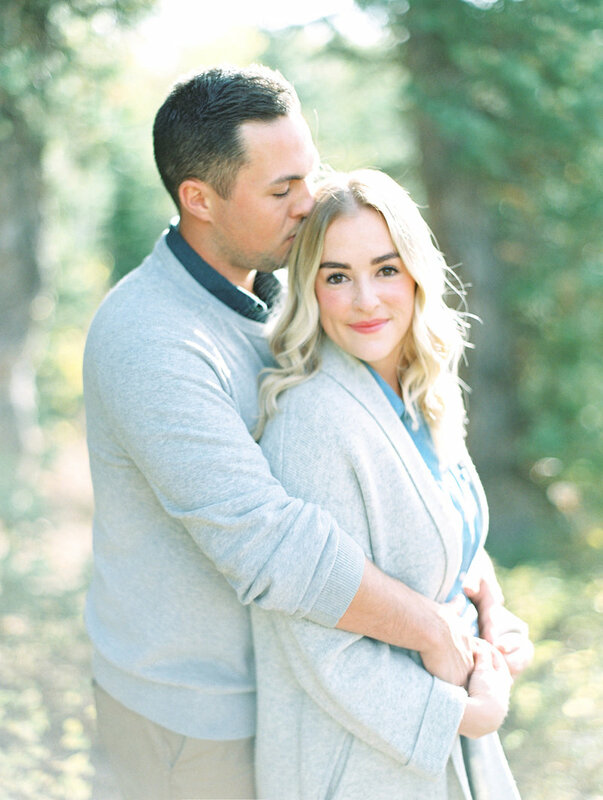 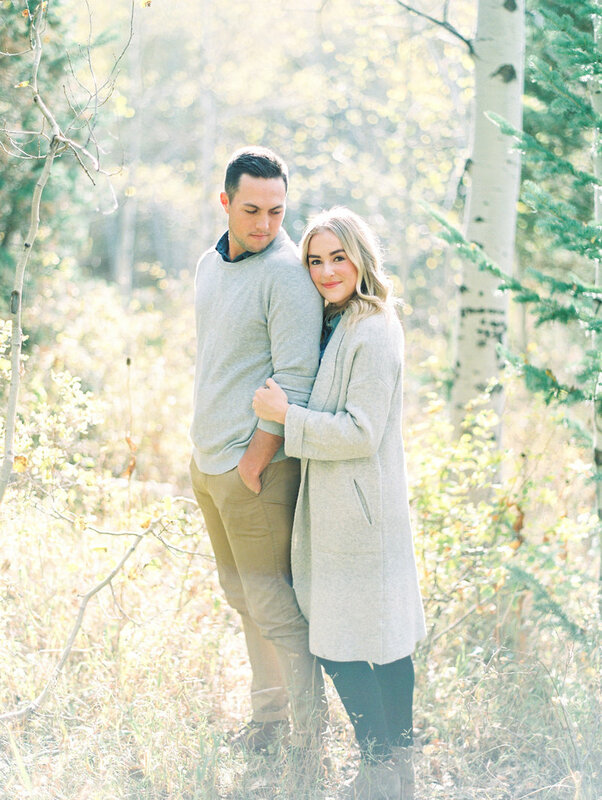 I loved Lindsey and Steve's cosy outfits and gorgeous color palette which added to the overall feel for modern fall engagement photos in the Utah mountains.